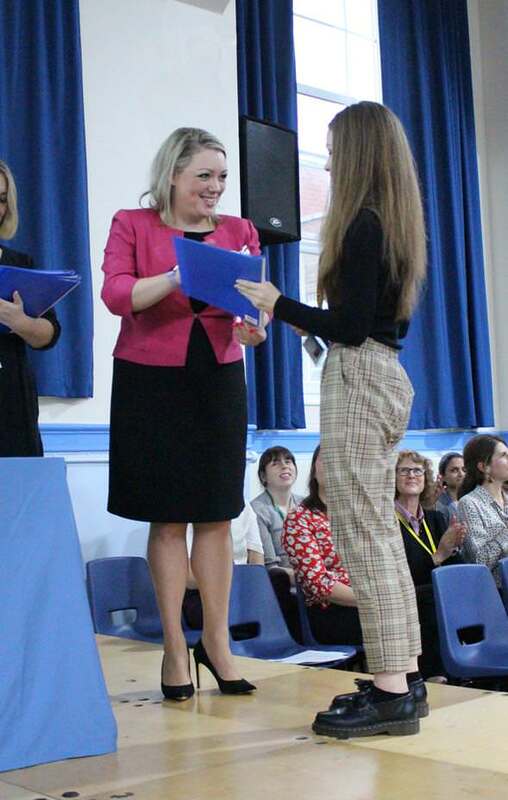 T hursday 29th November saw the return of many of our Year 11 – Class of 2018, for a celebratory event, where the students were individually presented with their GCSE certificates. We also welcomed Mrs Fleur Sexton, her Majesty’s Deputy Lieutenant of West Midlands as our guest speaker, who gave an inspirational speech and lots of great advice to the students receiving their certificates. In addition to the GCSE Certificate Presentation there were a number of individual student prizes awarded – the new Lloyds Art Award, which was presented to Gabrielle Dickson, The Richard Rogers Prize for “Philosophy of Religion” was awarded to Erin Harte, The Eileen Daines Prize for “English Literature” was awarded to Ruby Enwonwu, the South & City College Principal’s Award Scheme was awarded to Henna Ahmed, Malaika Ali & Jess Coley and the Headteacher’s Prize was awarded to Izzy Brookes. Well done Class of 2018!